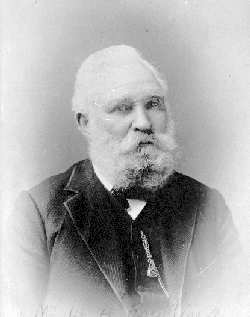 William Henry Rowling was born in Truro, Cornwall, England in 1826 and came to Esquimalt with Royal Engineers of the Boundary Commission to survey the boundary between U.S. and British land along the 49th parallel. On the 4th of May, 1859, a few days after the arrival of the bulk of the Columbia Detachment to Queenborough, Colonel Moody posted off a letter to Colonel Hawkins of the Boundary Commission informing him of the "District Court Martial of Corporal Rowling RE, of the Boundary Commission." Little is known about Rowling after this time, except that he was a corporal in charge of the commissary. When the engineers completed their work in 1862, many sailed back to England, but Rowling remained, settling in Sapperton, now part of New Westminster, where he operated a saloon called The Retreat. 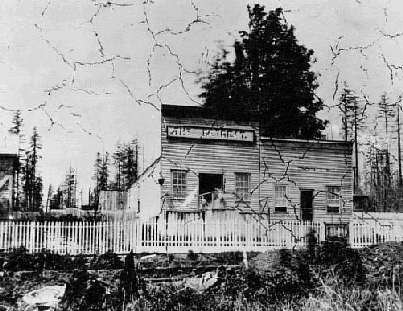 The Retreat was the first saloon and gathering place in Sapperton. Built a short distance from St. Mary the Virgin Anglican Church, this building served the local citizens and members of the military camped nearby. The picket fence seems to mark the boundary between the wilderness and 'modern' living. In 1868, he, his wife Mary and their five young children steered a barge loaded with all their possessions --including a goat-- along the Fraser to what is now the Killarney neighbourhood, where they became the first settlers in South Vancouver, according to the city's web site. In the mid- to late 1800s, Killarney was heavily forested, with thick brush and an abundance of fir trees. After clearing a property, Rowling built a simple log cabin and began raising ducks, chickens, pigs and cows, as well as growing produce, including grapes. Over the years, Rowling acquired three riverside lots in the Killarney area, as well as another on Lulu Island, and became a prominent citizen, serving on Richmond council in 1884. The final Rowling home was an impressive Victorian house with a stone and wrought-iron fence. In 1889, he invited friends and acquaintances over to this residence --or perhaps its predecessor, made of cedar shingles-- for a Christmas party. About three the next morning, five young men and a young woman boarded a sleigh driven by two horses for the trip back home along the North Arm Road, a dirt trail version of Marine Drive. It's unclear whether the party was headed to New Westminster or Vancouver. A short distance from Rowling's home, however, one of the men, William Mashiter, noticed a smoldering tree not far from the sleigh. A nearby settler named James Saint had set a fire inside the base of the trunk to knock the tree down, a common practice for people clearing trees off their property. Accounts differ on what happened next. In a letter written after the incident, Mashiter said he called for the driver to stop, but the driver spurred the horses forward in an attempt to race past the tree. The Daily Colonist in Victoria, however, says a burning branch fell from the tree, spooking the horses. Regardless, the massive tree fell directly on top of the sleigh, instantly killing 24-year-old Jasper Locke, 21-year-old James Bodwell, 16-year-old James Lawson, and 22-year-old Clarence Campbell. Mayo Lawson, James Lawson's sister, escaped with an arm injury, while Mashiter was unharmed. One of the horses was crushed and the other so seriously injured it was shot shortly thereafter. On Dec. 27, a New Westminster-based correspondent for The Daily Colonist wrote: "The news of the sad affair cast a gloom over this city and the North Arm, all the parties being well-known. The bodies were crushed and mutilated almost beyond recognition." Rowling's reaction isn't recorded, though the names of his son John and daughter Priscilla are included on a resolution calling for their International Order of Good Templars lodge to drape its charter and regalia in mourning for three months. The victims and survivors were all Templars as well, though little other information about them remains. Rowling lived for another 16 years, until 1905. Later, his name was given to a station on the Marpole interurban line.